In babies this week we have been painting Easter eggs, looking at all the colours, and mixing colours to see how new colours are created. 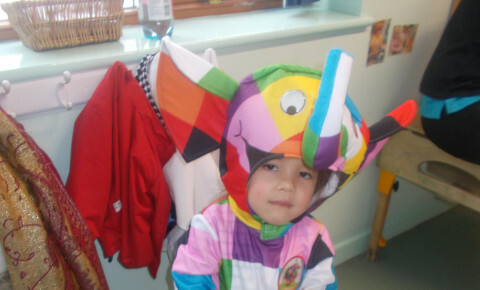 We have also been dressing up for world book day. Additionally we have been looking at shapes and having a go at drawing them. In toddler room this week we have enjoyed meeting our old friend Boris who has come to teach us about hand washing and sharing our toys. We have also enjoyed dressing up as our favourite characters and making snow pictures. Also toddlers have also now have water bottles in the nursery to encourage drinking and learning to refill. In preschool room this week we have enjoyed playing in the snow, creating snow men as well as the looking at how the snow is melting. We have also been reading lots of new book this week learning about the characters in the book and how a story is formed.